Madoka Kitamura has been serving as the President and Representative Director of Toto Ltd since April 1, 2014. He joined the company in April 1981, and his positions at Toto have included Executive Officer, Managing Executive Officer, Director of Business Planning, and Director of Bathroom Business. He graduated from Nagasaki University with a Bachelor of Economics. 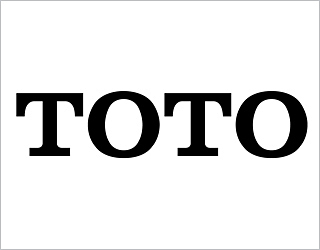 Madoka Kitamura was appointed President and Representative Director of Toto Ltd. in April 2014. In May, immediately following his appointment, he announced the TOTO Group's Mid-Term Management Plan. To achieve the Toto V-Plan 2017, Toto's long-term management plan that was announced in 2009, he presented strategies for the domestic (Japanese) housing equipment business, the overseas housing equipment business and new business domains in Japan and overseas. He joined the company in 1981, and he has held key management positions in subsidiary companies of the Toto Group. After serving as Section Manager of Toto's Accounting & Finance Division, Deputy Manager of the Management Planning Division, and General Manager of the Management Planning Division, he was appointed General Manager of the Bathroom Division in 2008. In 2011 he was appointed Director. While he was General Manager of the Bathroom Division, he worked on developing platforms for modular bathroom for the domestic market, and released the products in 2012. They became a smash hit, contributing to the results.